'Alma Moreno is a personification of a college student's reflection paper done the night before submission.' Ouch. 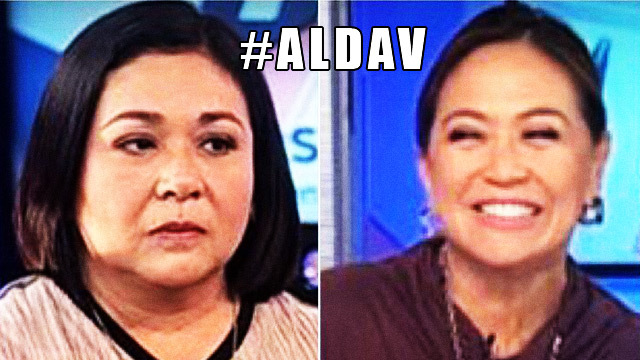 We have a feeling that even Alma Moreno herself would be dumbstruck upon seeing how she responded to Karen Davila's questions during her recent guesting on the ANC program Headstart. With their mind-numbing discussion having gone nowhere (and viral), the ever-quick-witted netizens had a field day turning Alma's answers into memes. It even spawned the hashtag #PrayForAlma. Well, you really can't blame the Internet's creative minds. There was just too much inspiration. In fact, even her actual replies are already memes on their own. One thing's for sure: Students were able to relate to her "plight." Watching the Alma Moreno interview. She sounds like she went to her thesis defense without studying her topic at all. The jokes—and even a few #hugot lines—just kept coming. If you can't accept me at my Alma Moreno then you don't deserve me at my Karen Davila. This week, Karen Davila is unimpressed. What do you Mean By Alma Moreno now Available on iTunes! DOWNLOAD NOW!